Main Street School is committed to ensuring that all students are SAFE & RESPECTED. It is the student’s role to Be NICE; Work HARD. This is to create the ideal learning environment & empower students to take full advantage of the learning experiences/opportunities. Traditionally, third quarter can be a “Grind.” With the Illinois climate, “indoor recess” is regular practice. I am sure students feel some effects of Seasonal Affective Disorder (SAD) w/ less exposure to sunlight & Vitamin D production. The curriculum is increasing in complexity and pace. It does make sense that, historically, Office Discipline Referrals (ODR) increase. We have also noticed that Attendance rate decreases. We are aware that flu season & many other variables affect this. The Learning experience missed cannot be recreated; it is lost. In the weeks returning to school session from Winter Break, the Main Street Positive Behavior Interventions & Supports (PBIS) Tier I TEAM discussed data (primarily quantitative data such as number of Office Discipline Referrals). We examined for patterns or trends & combined analysis with qualitative data such as anecdotal feedback from the TEAM. We noticed that more unstructured times in less formal settings such as the hallways, bathrooms & recess accounted for nearly all behavior infractions. Students engaged in the classroom & learning activity such as discussion of reading passage or personal narrative writing were consistently meeting expectations. The opportunity for improvement had been identified. What action can we take & how will we know it is working? I give credit to Kim Brunk & Angie Kelly for suggesting that we utilize student-leaders & give them a role in positively influencing their school. It is their school & we want them recognize & capitalize on opportunities. The TEAM supported unanimously. 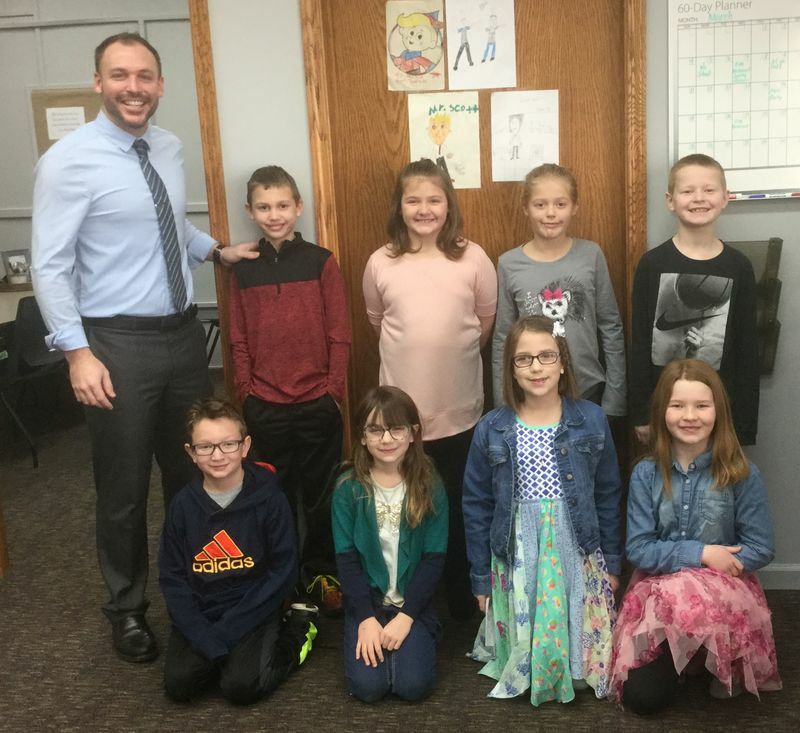 Third Grade Student-Leaders were selected (two students per classroom) based on leadership qualities such as responsibility & communication skills. The Student-Leaders identified were: Mrs. Brunk – Karson Bruns & Haley Key, Mrs. Harkins – Avery Bland & Audrey Durbin, Mrs. Kelly – Brady Clark & Caroline Daniel & Mrs. Perry – Rylan Murphy & Tori Stephens. The objective was explained to the students & they accepted the challenge. They divided up locations & created a generic Google Slide to collaborate on. Students designed their assigned slides and added information to communicate. They considered the wording to be more positive. Example: consider encouraging students to be aware of their noise level in the library while peers are testing instead of just saying, “Don’t talk.” Students considered the contrast of the text & the background as well as font style & size. Communication is unselfish. It is not about you; it is about the audience. Students gave each other feedback as the presentation was constantly in revision. These students kept up with their academic work load such as Math Exit Tickets and independent reading. They gave up free time such as recess and even worked on the project at home. I noticed several edits made by the students after 8:00 PM. I worked with the students on their presentation skills and interpersonal communication. Energy with eye contact and hand gestures ensure your message is more likely to be received. How difficult is it actually to sustain attention for 10-15 minutes from 5-8 year old students? We talked about inflation and change in pacing to make our speech more interesting & pleasing to the ear. We discussed addressing the audience versus a robot reciting. It was in this stage that I reflected that this is real learning. The students were given a challenge that had real life application. They were collaborating as part of a TEAM. They had a timeline and responsibilities. They used technology with Google Slides and the tools. They practiced communication skills w/ an authentic audience w/ an authentic purpose. The finished product was more than an assignment for a grade. I am proud of these students and they did a great job addressing the Main Street Student Body on Wednesday, February 7th. They did this in grade-level rotations: 1st grade, 2nd grade & 3rd grade. 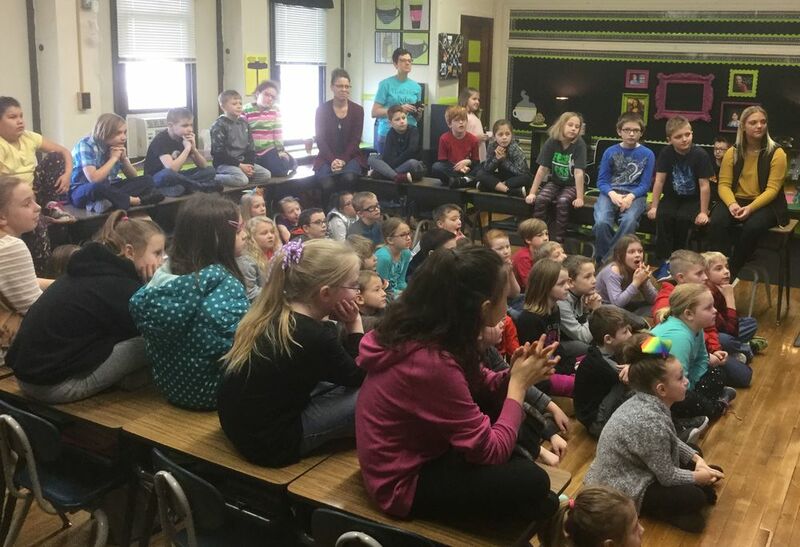 They engaged their peers in discussion and empowered their peers to be more than just a client or consumer; they can be a part of something special at Main Street School. “We can all be student-leaders; we are a TEAM,” said Audrey Durbin. The message is that this is our school; it is your school. It can be as great as we want it to be but we have to do it together. Be NICE; Work HARD.